Ready to step up onto the scene as a top Vampire Count of Transylvanian descent? Sure, you could just wear your street clothes, but what's the fun in that? 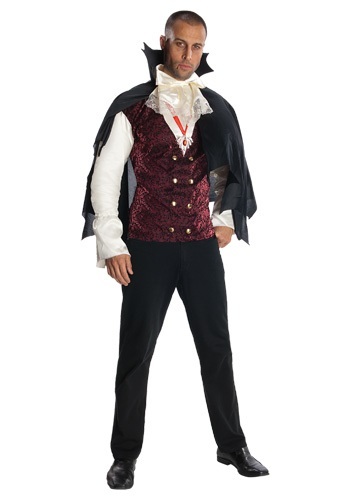 You're going to want to have an authentic look that shows you're a count who's ready to show off his fangs, and this costume will deliver. With an elegantly styled vest and shirt combination, it will provide an easy way to step into the role of a dark count of the night. And with an attached cape, you might even start to feel like Transylvanian royalty!